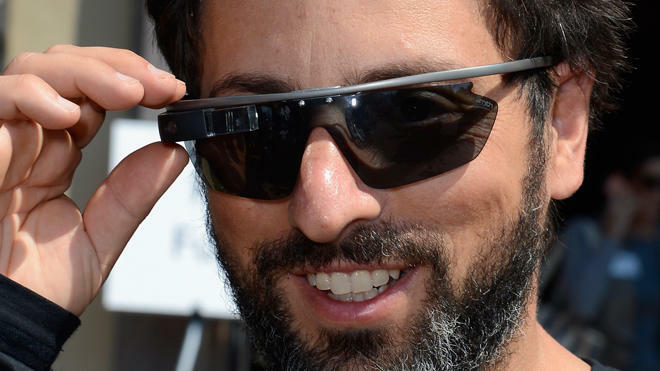 Google Glass seems like a stunning next-generation technology and I applaud Google for its efforts on the project. But it scares me. A lot. I'm not sitting in my apartment wearing a tin foil hat and I get outdoors as much as the next person, so I'm not some sort of hermit writing this from my conspiracy cave. I'm actually writing this as someone who's so enveloped in technology that I think it's my duty to express this opinion. Google Glass on the surface is a tool that can help us all move around our lives faster, more efficiently and with the ability to snap photos or record anything on a whim. It will no doubt help usher in the next generation of citizen journalism; with a simple touch to the frame we can snap a picture of anything from a hurricane to a would-be suspect in a crime. There's a real benefit to that, but it's also terribly scary. I was recently at a party loaded with tech folks in New York City, and there were about a half dozen people walking around with Google Glass. They looked goofy, but it also made me want to leave the party. If someone decides to take a picture with a cell phone or a camera I at least have an idea it's happening: there's that universal gesture that screams "hey! I'm taking a picture of you!" That's not the case with Google Glass. I'm not a particularly private person, but I don't like knowing that someone could be standing right next to me taking pictures of me stuffing my face with mini quiches or talking to my fiancee and posting them to social networks, unbeknownst to me. In either of those cases I'd happily pose for a picture, or duck out of one if someone tried to snap a photo with a camera out, but with Google Glass I have no idea when pictures are being snapped. I think the fear of surveillance is taking it too far – if you think you're being followed all of the time you should check in with a doctor – but there's something terribly scary about being photographed when you don't know it, especially by another civilian who might not even know you. We all deserve some sort of privacy, and while I admit the Internet, apps, social networks and other tools basically eliminated any form of privacy a long time ago, there's still something sacred about protecting an actual photo or video clip of yourself. Part of me almost wants the picture option to be eliminated from Google Glass altogether. Then it can serve as a tool for directions, for pulling up information and other options without giving the wearer an option to snap photos. Do you really need to record every moment of your life? I find it hard to believe any of us is so important, or at least important enough to require that option using a set of glasses. And as for that cool skydiving demo? Wouldn't you rather have a camera man with a full HD camera jumping out with you, or at least your own HD camera on your helmet? I haven't signed the new White House petition against Google Glass yet, but if I start seeing them more frequently in New York City I just might. There needs to be some sort of control here. Otherwise I'll be on the short list for buying Google Glass just to make sure we're all on even ground.